Abu Garcia Revo Rocket Low Profile Baitcast Fishing Reel is one of the most popular high-speed baitcasting reels in the world today. It is effectively used for catching topwater toads, big fishes, hollow body frogs, etc. Anglers will never forget the highly remarkable fast retrieve speed of this reel while it maintains its performance. 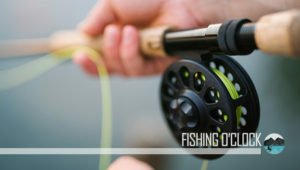 It has a speed of up to 37 inches of line retrieve for each turn of the crank handle, thereby making it the fastest reel from the Revo line of products. The Abu Garcia Revo line of products is excellently designed when it comes to finish and fit. The only difference between the Revo Rocket and others is its sassy red color. The Abu Garcia Revo Rocket is a reliable and highly refined reel with a pretty clean finish. There are no awkward spaces, gaps or misalignments between the frame, sideplates or other pieces. The knobs are tight enough, and the handle does not have any back play at all. The frame of the Revo Rocket fishing reel is made from X-Craftic alloy frame, and the handle is made of carbon fiber while the sideplates are there to provide enhanced corrosion resistance. The Abu Garcia Revo Rocket bears close resemblance with the Revo STX, especially with the way both of these fishing reels feature dual braking systems. 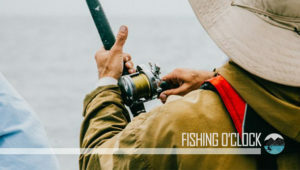 The dual braking system – i.e., magnetic + centrifugal – is incredibly efficient, though it may take you a little time to get used to adjusting two distinct braking systems on the same fishing reel. The Linear Magnetic Braking system on the Abu Garcia Revo Rocket makes use of 5 magnets for one purpose only: to induce resistance on the spool, though this depends significantly on the setting. The cast control is adjusted externally and can be fine-tuned from zero to max even if the dial only showcases a “Max” indicator. The reel comes equipped with 10 stainless steel HPCR bearings as well as 1 roller bearing, all of which provide enhanced corrosion protection from the saltwater elements. The Revo Rocket is extremely powerful with maximum drag pressure of up to 20 lbs, thus making it one of the most robust fishing reels on the market today. The issue of power is highly crucial, especially when it comes to small reels such as the Abu Garcia Revo Rocket with retrieve ratios above 7.0:1. However, the Revo Rocket showcases an extraordinary amount of control by its speed. The drag system of this reel is known as Carbon Matrix, and it comprises a set of carbon washers. It also delivers consistent and smooth drag pressure across the whole drag range. The Revo Rocket is touted as one of the fastest fishing reels – if not the fastest – out there. 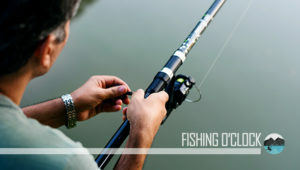 The retrieve speed of the reel is equivalent to – and ranges from – 18 to 36.5 Inches per Turn (IPT). This value depends significantly on how much line there is on the cast. When you compare the retrieve ratio of the Revo Rocket to other STX, you will discover that the Inches per turn provided by the Revo Rocket is a huge boost from that of the STX. The extremely efficient D2 Gear design also provides a highly efficient gear system while enhancing the durability of the gear extensively. The Abu Garcia Revo Rocket, despite being one of the strongest baitcasting reels on the market is also incredibly light as it comes at 6.75-oz. The super lightweight of the Revo Rocket will make anglers with “fishing elbow” or tennis to enjoy long days of fishing without any difficulty whatsoever. 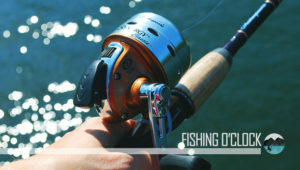 Anglers who are susceptible to fatigue will also fall in love with this innovative fishing reel. The low weight of this reel is attributed to the X-Craftic material used for both the sideplates and the frame. Casual anglers will quickly be thrown off by the hefty price tag of the Revo Rocket, which is probably not meant for amateur anglers in the first instance. If you care for both versatility and speed, then the Abu Garcia Revo Rocket Low Profile Baitcast Fishing Reel is what you are looking for. This top-notch saltwater baitcaster reel meets every expectation and even surpasses them, with innovative micro-click adjustments, bearing replacements, externally adjustable brakes as well as the drag star and tension knob. It is the perfect reel for catching wake baits, topwater toads, poppers, jerk baits, hollow body frogs, and buzz baits.